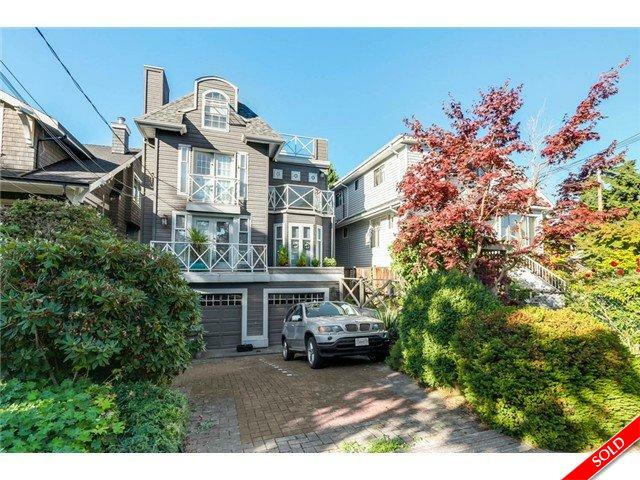 Picture perfect 1/2 duplex in the heart of Kitsilano only minutes to the beach & tucked away on a quiet street. This large home has everything one could hope for in this area. A large master bedroom with generous ensuite & huge walk in closet, dining room with 18 ft vaulted ceilings,living room that flows out to your private backyard, top floor second bedroom with private rooftop deck & a garage for all your toys. This bright, private, nicely kept home should be added to your short-list of homes to see this week. Call today for private showing.